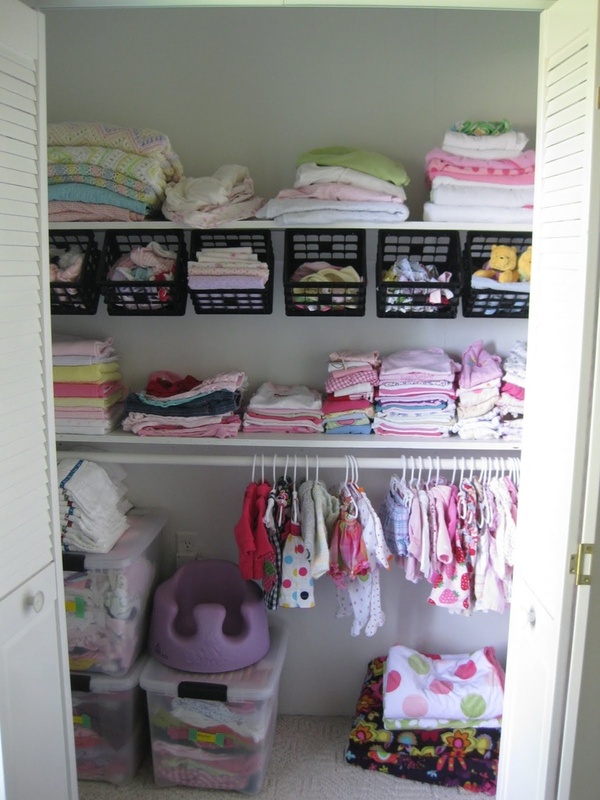 Nursery closet organization - Cool idea to have the milk crates hanging for socks and other smaller accessories. May eliminate the need for a dresser! Budget friendly?